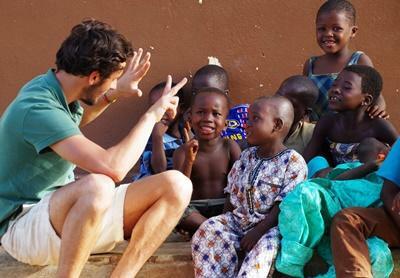 During July, Projects Abroad established a new International Development project in Togo. The aim of this project is to help combat social and economic issues hampering the country’s development, particularly in the field of human rights, political governance and public health. The International Development placement will build on the excellent existing work that has already been done by our Law & Human Rights and HIV/Aids initiatives in Togo. Togo, a small country sandwiched between Ghana and Benin on the west coast of Africa, has a relatively stable economy based largely on agriculture. It has received a boost in recent years from pro-business government reforms and the opportunities brought about by its popular Port of Lomé, the only deep water port on the West African coast that can accommodate third-generation ships. However, Togo is still a low-income country, and it continues to struggle with poverty. The country has a high HIV transmission rate, which in turn reduces overall life expectancy when there is limited access to healthcare services. It is estimated that 2.5% of adults between the ages of 15-49 are living with HIV/Aids, the 26th highest rate in the world. HIV infection is also higher in women, and in people living in urban areas. Togo also has a checkered human rights record. While it has committed to a number of UN conventions, the country has failed to follow through and implement all these conventions. There have been numerous reports from Amnesty International of excessive use of force on protestors, as well as restrictions on freedom of assembly and expression. Volunteers on the new International Development project will work alongside local and international NGOs based in the capital Lomé, and will have the chance to take part in a range of different activities: planning projects, coordinating local volunteers, helping to write reports, creating training materials and helping with fundraising and marketing. Volunteers have a wide range of different initiatives to choose from on this placement, depending on their interests, language skills and length of stay. One of the available options involves working with a grassroots NGO to tackle the high rate of HIV transmission, developing action plans, awareness campaigns and educational programmes. There is also the opportunity to work with a well-known global human rights organisation, assisting with their lobbying work as well as awareness programmes. There is a third option to work alongside a local grassroots NGO that focuses on a range of areas for development in Togo, including the environment, education, health and human rights. On this placement, volunteers will work directly within beneficiary communities, visiting rural villages to work on awareness campaigns and organising field activities to tackle the focus topics. 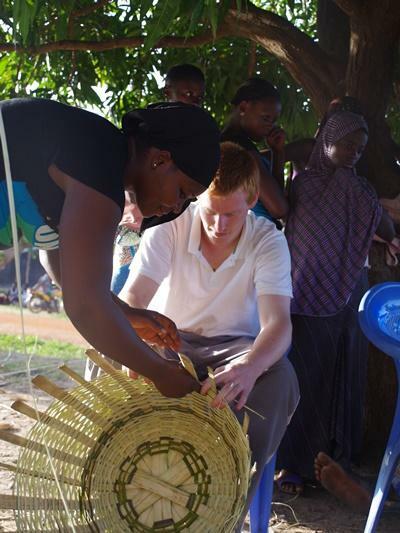 Through educating and equipping locals with the skills and knowledge needed to tackle social and economic challenges, Projects Abroad aims to develop a sustainable form of development within Togolese communities. By assisting with training, workshops and knowledge sharing, volunteers will contribute to much-needed capacity building in the country. Learn more about the International Development project in Togo , or browse our other project options in this country.